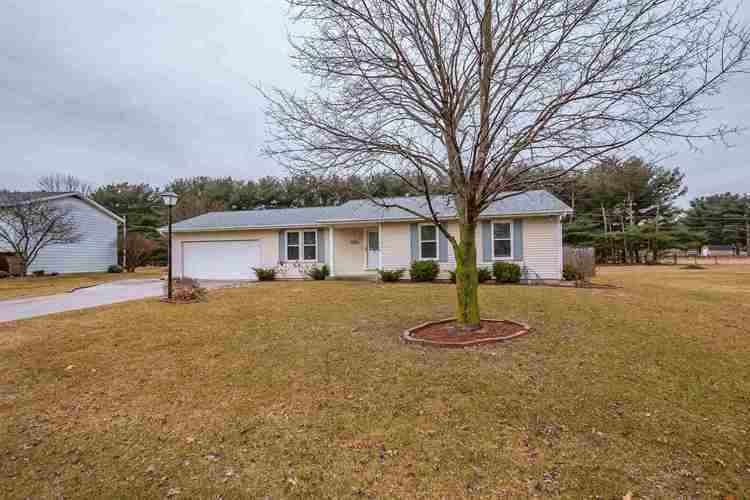 Come check out this move-in ready ranch - Home to a well established neighborhood with 3 bedrooms and 2 bathrooms! The spacious master bedroom offers an en suite bathroom with 2 closets. Entertain out on the back deck outlooking a beautiful, (privacy) fenced in back yard. The basement offers extra living space in the finished half and plenty of storage and laundry space in the unfinished half. Note the two stall garage with entrance to the eat-in kitchen. Directions:CR 6 East to Jeanwood (south on Jeanwood). Jeanwood to CR 106, left (east) onto 106 to Lane (on the right/south).